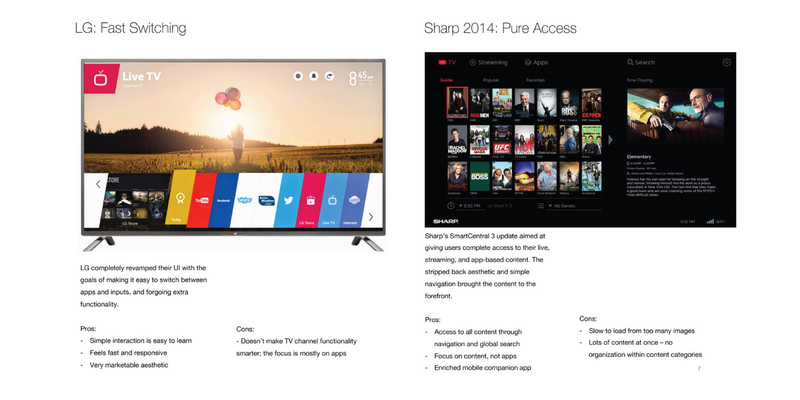 Sharp Corporation USA division approached RKS to design Sharp SmartCentral 4.0 for its AQUOS 4K line. 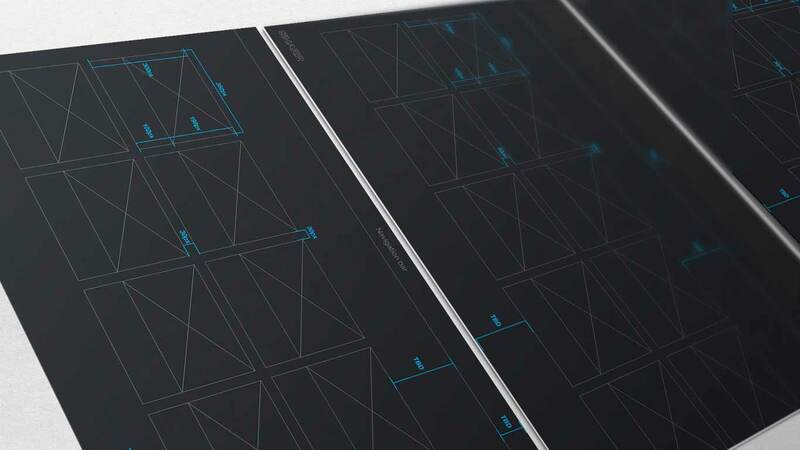 Through extensive UX/UI research and a rigorous design process, Khoa and team created a unique, minimal visual design that enhances user experience of these TVs. Designed with smartphone and tablet integration in mind, SmartCentral 4.0 allows a seamless user experience enabling quick and easy content discovery from one central location, from any source, and from online to offline. 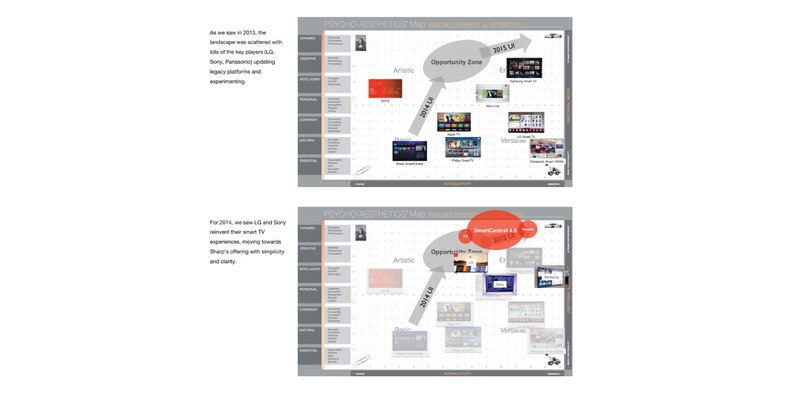 We start the research phase with defining the strengths and weaknesses from previous year Smart Tv market. This includes identifying Sharp Smart TV in previous year. Through our market research, we're able to identify the direction where all the competitors and define our opportuny zone. With a 2x2 mapping exercise, we came up with a Frictionaless Entertainment concept. 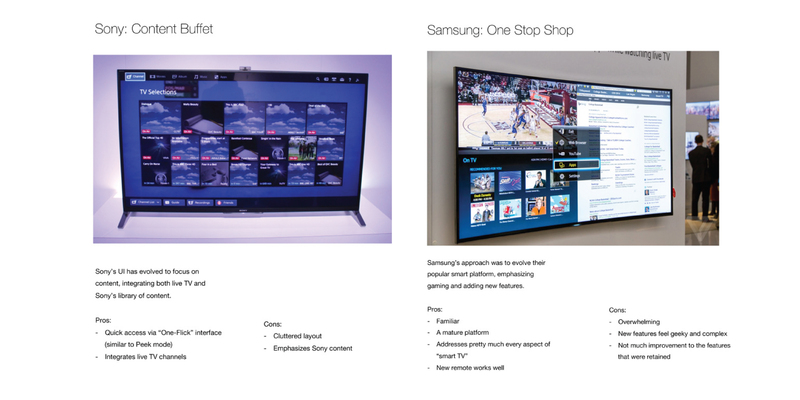 The concept allows all user to interact without interrupting the TV program. 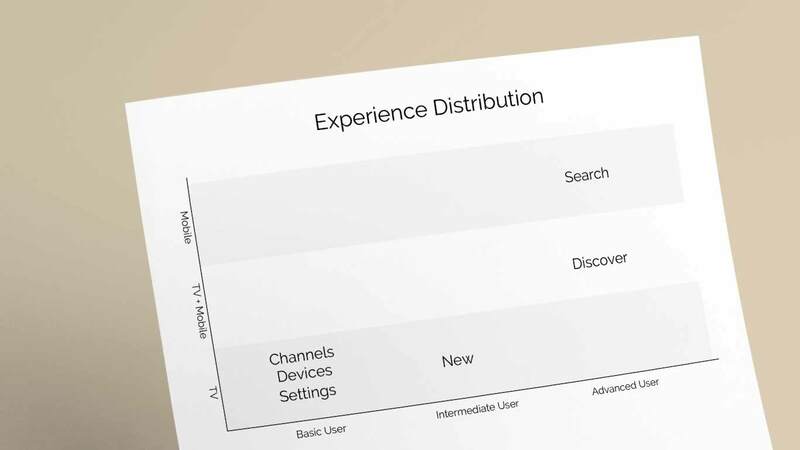 We also identified 3 types of users: basic, intermediate, and advanced. 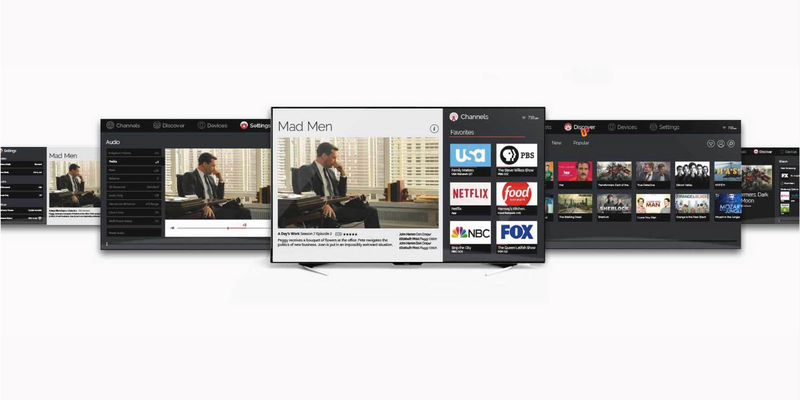 All 3 personas are able to perform the basic functions: watching TV, change settings, and change devices. However., the more tech advanced the user becomes, the richer expereince the user will get from the platform and app. 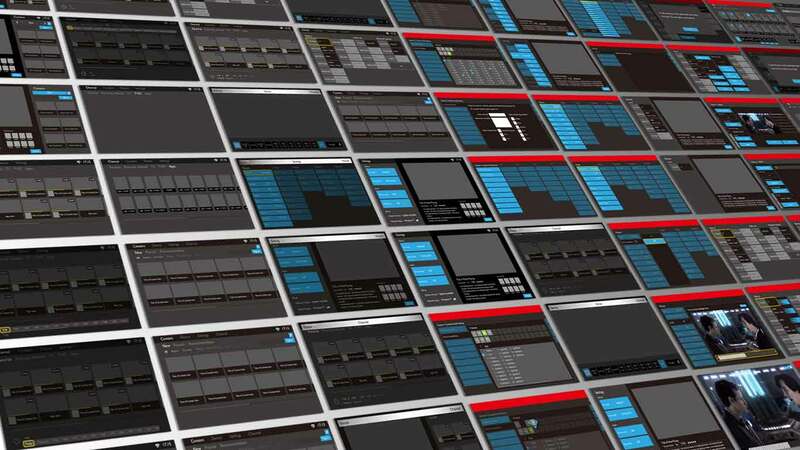 Hundred of wireframe screens were then created to demonstrate the experience. Visual hierarchy plays an important role in this uninterrupted concept. Mood boards with differents look and feel were created to show different visual directions we can go while staying with our main concept. The chosen mood boards, Under the Hood, were then moved forward into next phase.